I love Twin Six stuff. I’m pretty sure I’ve mentioned it before. I recently picked up my first jersey from the 2013 collection: The Mach 6. 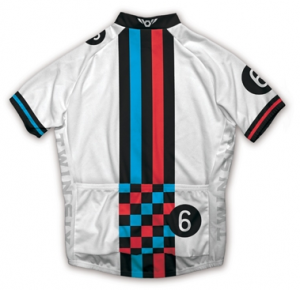 There are lots of great-looking designs coming in 2013 from the guys at Twin Six. Another exciting update is the full-length zipper on all the jerseys. 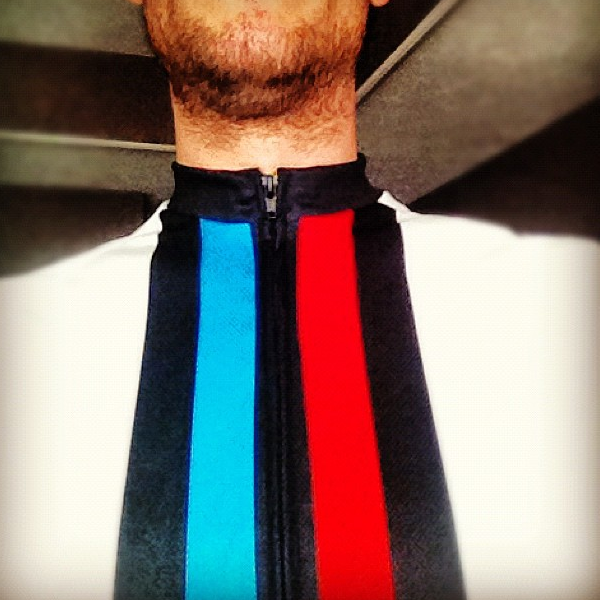 I’ve never needed to fully unzip during a ride (clearly I don’t ride hard enough or when it’s ridiculously hot). But, the full zip is convenient for a number of other reasons. Big plus. Love the new jersey. Probably only the first of many to come this year.